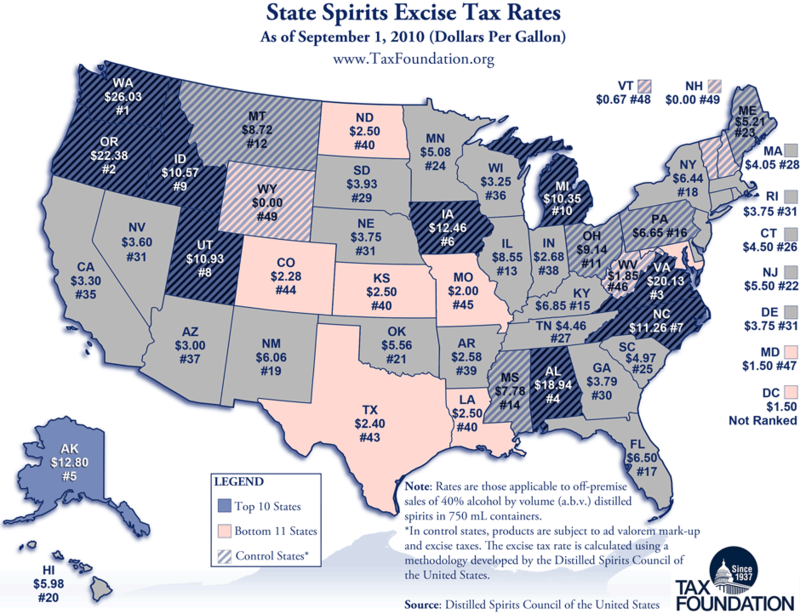 This week’s map shows state spirits excise tax rates as of September 1, 2010, expressed in dollars per gallon, as applicable to off-premise sales of 40% a.b.v. spirits in 750 mL containers. Local excise taxes are excluded. Click on the image to view the full-size map.